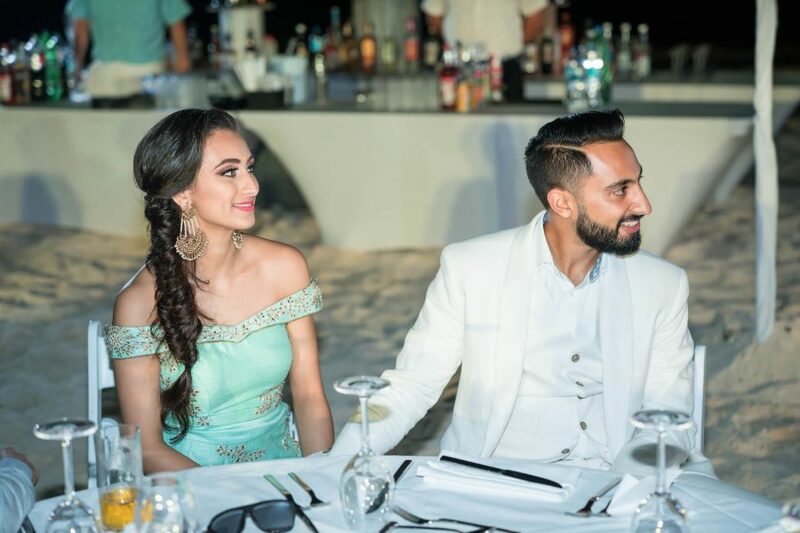 You've probably heard of Moon Palace Cancun before, after all, it's become one of the most popular resorts for Indian destination weddings. 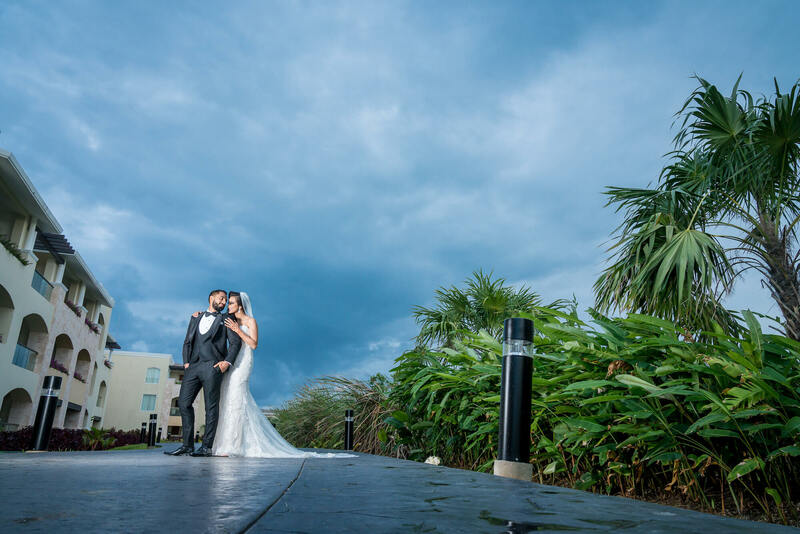 So, whether you love destination weddings, you’re considering the Moon Palace for your own, or you’d just like a glimpse at the experience itself, we present to you: Shawn and Negysa’s beautiful island wedding week. These gorgeous photos, as captured by JD Photo Studios, will show you the events, the details, the outfits and the views. You’ll feel like you were right there with the lovely couple, Shawn and Negysa themselves. 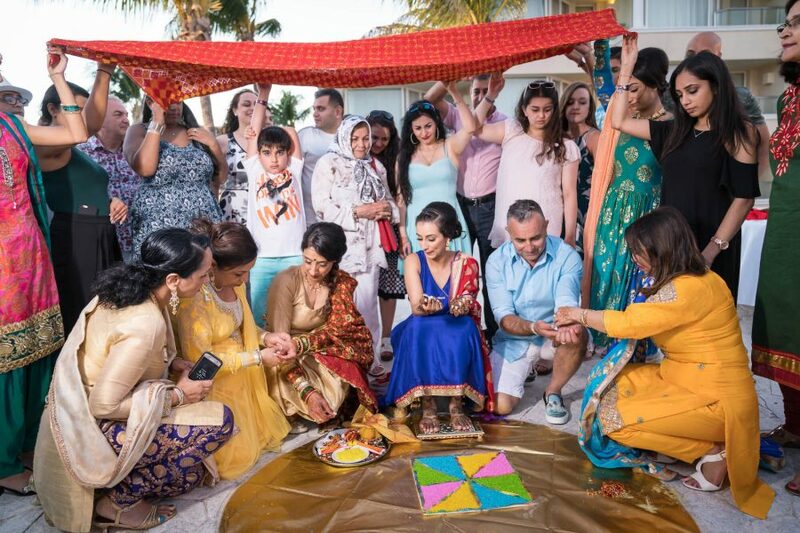 One question that comes up pretty often with destination weddings is if you’re able to have the same kind of events as you would in a traditional, local wedding. Well wonder no more, Shawn and Negysa show us with first-hand experience that you can throw your wedding exactly the way you want to. 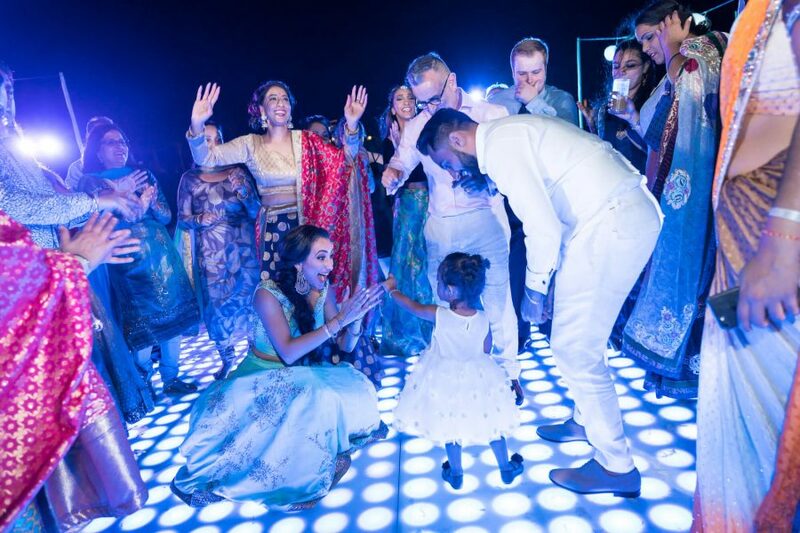 From their pre-party equipped with a light up dance floor, their haldi ceremony (that they washed off in the ocean- convenient! 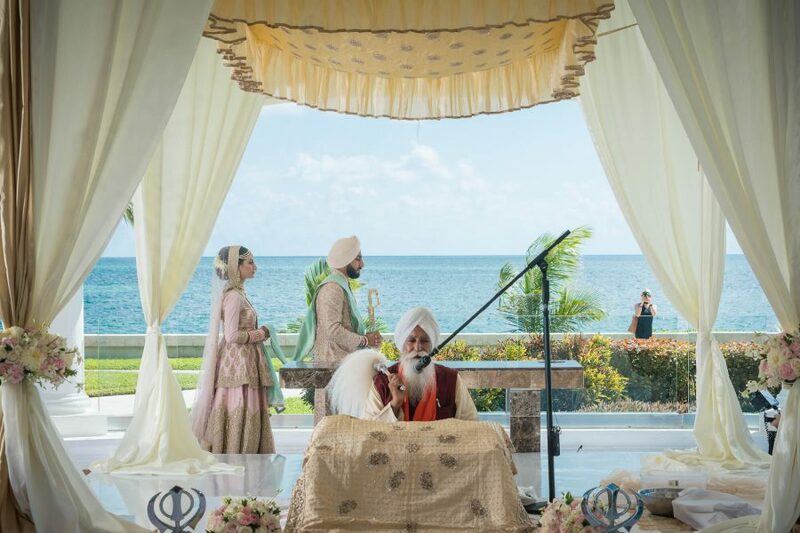 ), their traditional Anand Karaj Sikh ceremony and all the way up to their black-tie reception, they pulled off the full itinerary on the sandy beaches of Cancun. Oh, and between it all, they even went on a beautifully picturesque bike ride. 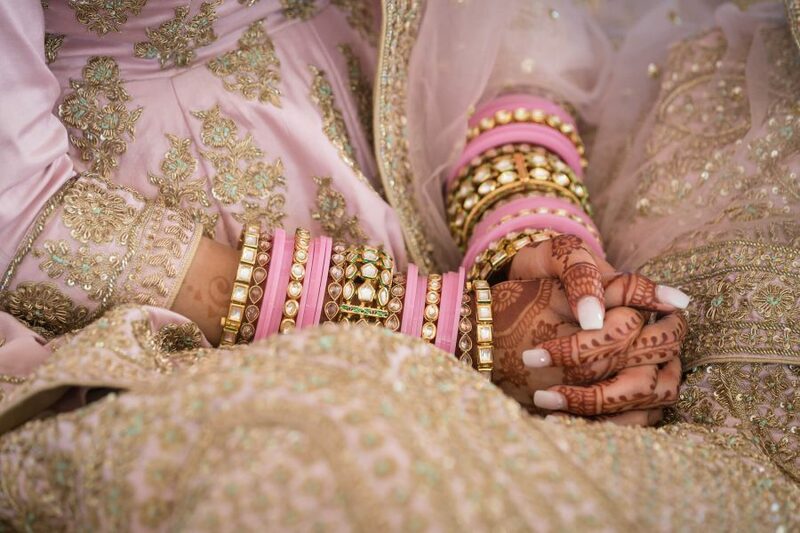 Without a doubt, South Asian weddings are known for their elaborate details. 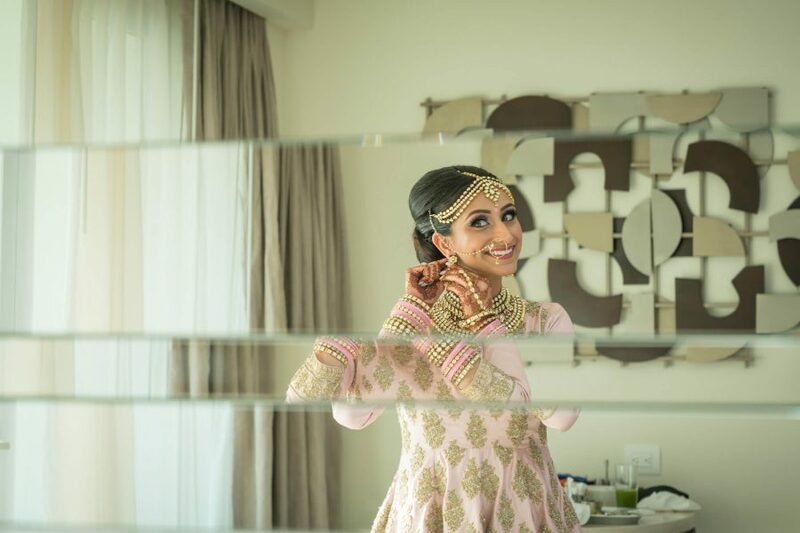 To commemorate the beauty in culture and tradition, Shawn and Negysa made sure that distance was no factor in making sure that the details were taken care of. 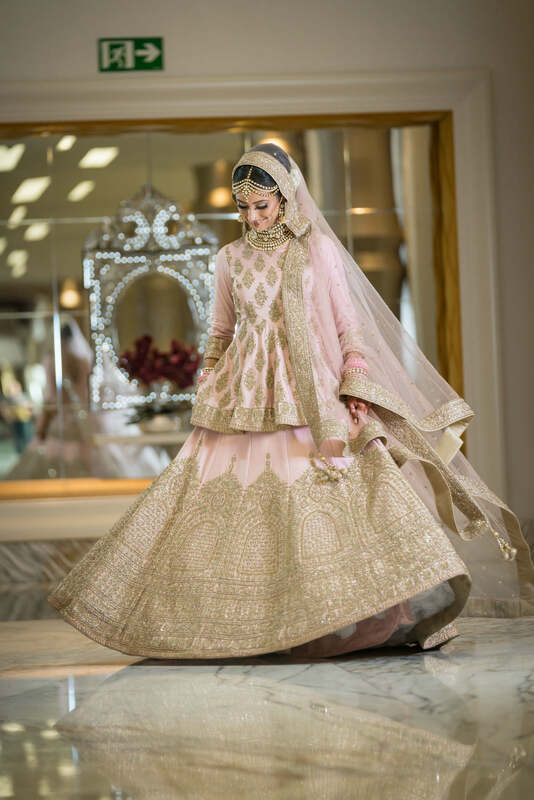 That meant coordinating the lehenga with the sherwani, and making sure that the jewellery and talwaar were there to match. 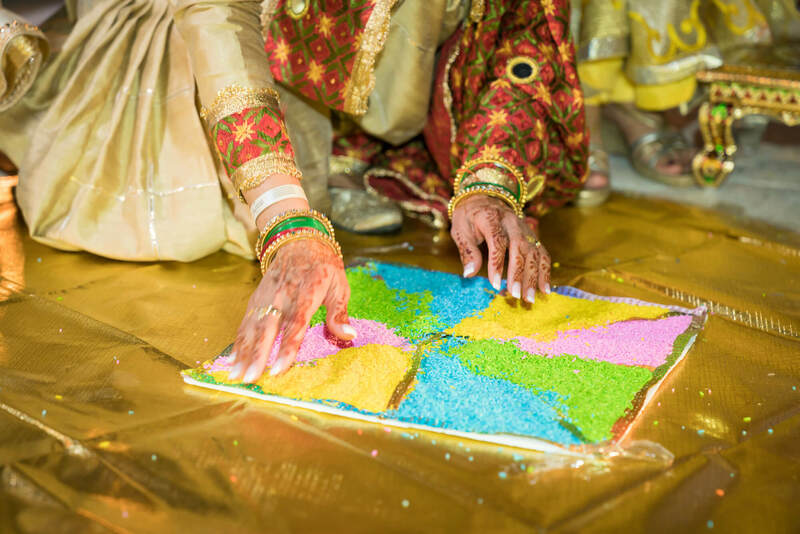 It also took planning to make sure that the events leading up to the wedding were ready to go, including of course, the rangoli! Needless to say, Shawn and Negysa looked absolutely stunning throughout the wedding. Not only were they naturally sun-kissed throughout their wedding-week, but they also got to play dress-up on a number of occasions. From their planned events to their photo-shoots and their more candid moments, their ensembles were perfect for their mix of indoor and outdoor venues. 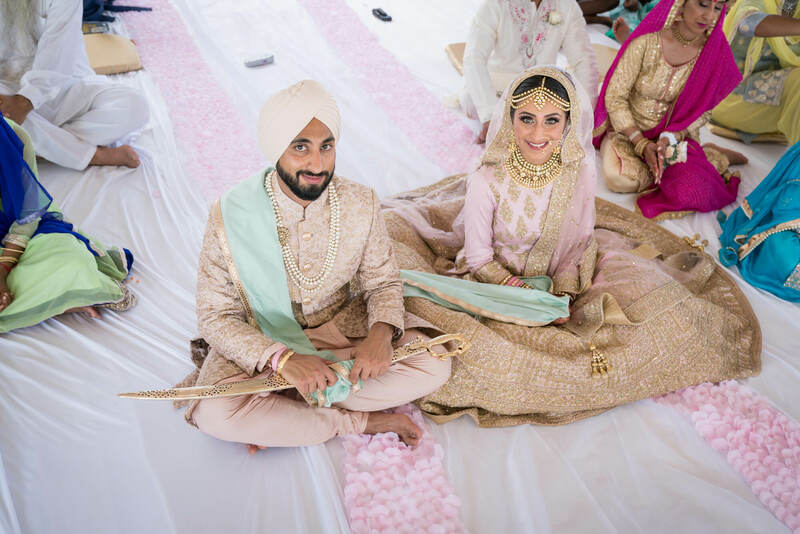 Not only did they choose gorgeous colours like baby pink, teal, red and white, but they also switched from ethnic and tradition to western attire seamlessly. One undeniable advantage of a destination wedding is the view. The resorts really do an incredible job at curating a beautiful and scenic area to enjoy. Couple that with nature’s beaches, oceans, and skylines, and you have a wedding set that is absolutely breathtaking. 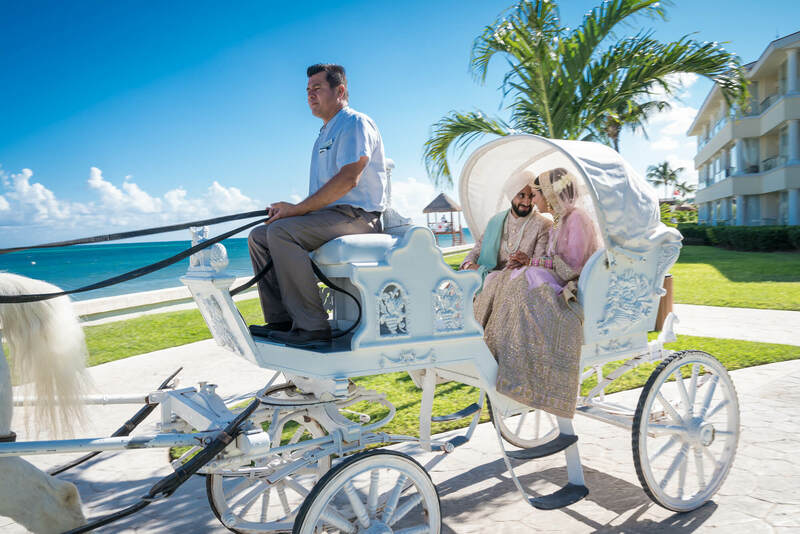 Shawn and Negysa chose to host their traditional Indian wedding in the classic island destination, Cancun, Mexico. 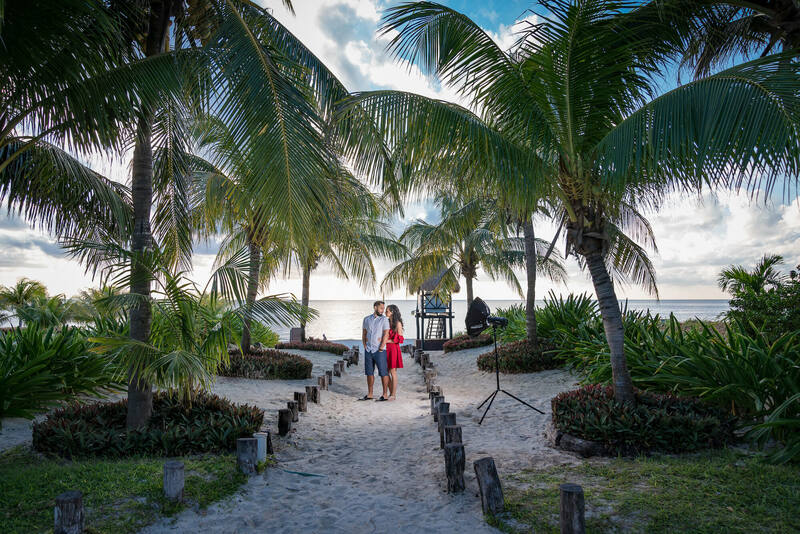 The palm trees, unbelievably blue water and Moon Palace resort grounds all kept the theme consistent throughout their wedding week: Tropical and serene. We hope you enjoyed tagging along for this mini-tour of Shawn and Negysa’s wedding. What a great way to start off their journey into marriage.